Thanks to everyone for their support and interest in the event. We would like to inform everyone that registration is now closed. 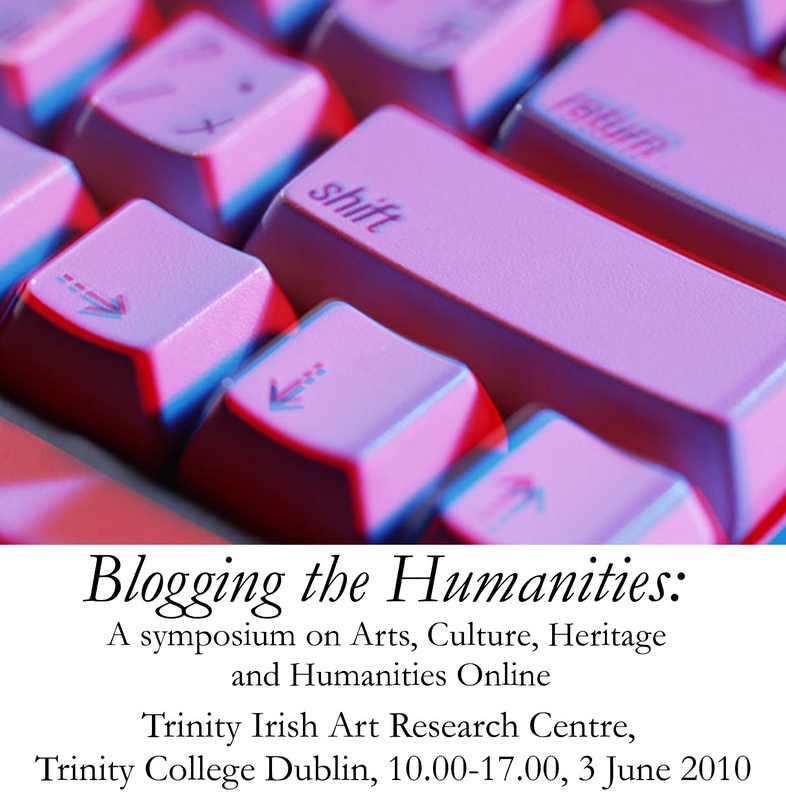 We would like to thank our speakers and attendees but in particular our sponsors David Dickson, History Ireland and the Trinity Long Room Hub. For those of you not attending we will report on the event next week and what has been discussed. This entry was posted on 27 May 2010 at 07:18 and is filed under History and Technology. You can follow any responses to this entry through the RSS 2.0 feed. You can leave a response, or trackback from your own site. would have liked to go along, this is the first I’ve heard of it. Why just the humanities?